New York City officials are investigating the death of a toddler whose family said had an allergic reaction to the grilled cheese sandwich a preschool employer allegedly fed him last week. Elijah, 3, was at the Seventh Avenue Center for Family Services in Harlem Nov. 3 when a supervising adult allegedly gave him a grilled cheese sandwich, "despite them knowing and having documented that he has a severe allergy to dairy," according to a page set up on crowdfunding site GoFundMe, which is said to be organized by "close family members" of Elijah's parents. The New York City Fire Department confirmed there was no 911 call from the preschool during the time of the boy's emergency. Instead, the school called Elijah's mother, who took him to the hospital, the family said. The facility has been shuttered and an investigation into the boy's death is ongoing, Christopher Miller, a spokesman for the New York City Department of Health and Mental Hygiene, told ABC News today. "There is nothing more important than the safety of our children and we are deeply saddened by this tragedy," Miller said in an emailed statement. "We will get to the bottom of what happened here. In the meantime, we closed the Center for Family Services and continuing to aggressively investigate what happened and whether the facility could have done something differently to prevent this tragedy." Elijah went into "anaphylactic shock" and was rushed to the pediatric emergency room at Harlem Hospital Center where he died, according to the GoFundMe page posted Tuesday. The boy is survived by his "heartbroken mother, Dina, father, Thomas, and his 5-year-old brother, Sebastian," according to the page, which has raised nearly $20,000 by 325 donors in two days. The money will help alleviate funeral and medical expenses, pay for family therapy and cover the cost of a "second and independent autopsy," the page says. "Right now, our family is immersed in our grief, but we are also facing an overwhelming list of financial and practical matters, all related to Elijah's untimely death," the family members wrote on the page. "We want to find out exactly what caused Elijah's death and that will mean sorting out exactly where, if any, breakdowns may have occurred at either the school or the hospital. Having a third-party medical examination will ensure our ability to get a clear picture. We just want justice for Elijah." The GoFundMe page organizers and an attorney for Elijah's family did not immediately respond to ABC News' requests for comment today. 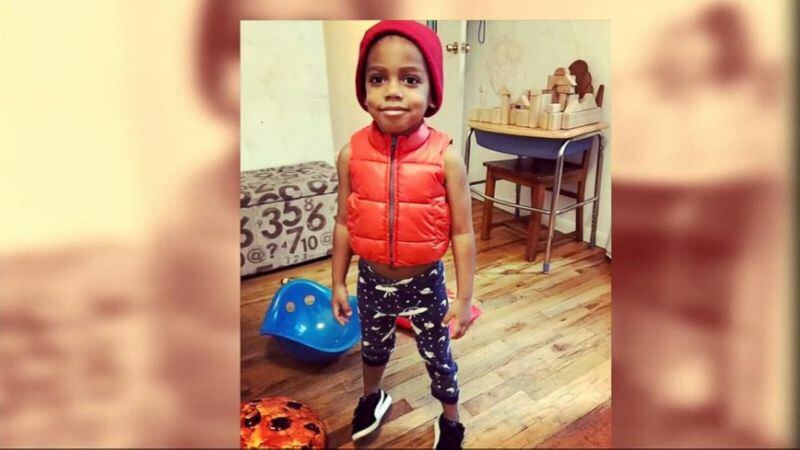 The Seventh Avenue Center for Family Services and Harlem Hospital Center also did not immediately respond to ABC News' request today for information and comment on Elijah's death. The New York Police Department referred ABC News' requests for information on the incident to the city's Administration for Children's Services. Lorelei Vargas, deputy commissioner for early care and education at the Administration for Children's Services, spoke to reporters outside the center this afternoon to address the "terrible tragedy," but said she couldn't provide much information because of the ongoing probe. "We do believe that this is an isolated incident, but there is an active investigation and we hope to learn more," Vargas said, noting it's still unclear whether the incident could have been avoided "because we really don't know what happened." "I don't want to speculate about what in fact took place here," she added. "I can't even share details because we don't know at this time." The Seventh Avenue Center for Family Services is a Universal Preschool (UPK) site, part of the Administration for Children's Services' "EarlyLean NYC" program, a city health official told ABC News. Its Manhattan facility was closed for failing to follow its written safety plan and failing to adequately supervise a child, in violation of the health code, the official said. The most recent inspection of the center took place Sept. 21 and no violations were cited, the official added. The Administration for Children's Services will have staff at the center today assisting families in finding alternative programs for their children to attend, the official said, adding that confidentiality laws preclude investigators from commenting further on the probe.